PriceTapestry.org is a WordPress Price Comparison Plugin and Joomla Price Comparison Component / Module. 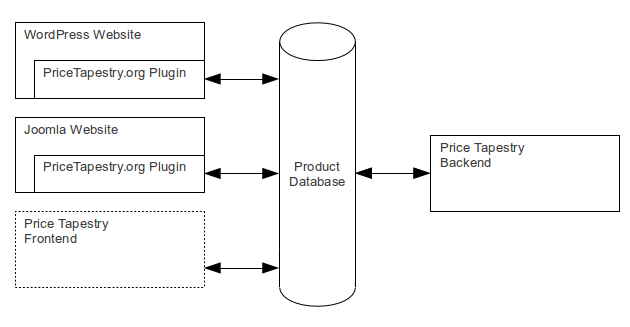 It works by accessing a product database managed by our Price Tapestry price comparison script for CSV and XML affiliate product data feeds. The plugins can be used to easily incorporate featured products, search results and price comparison tables from a Price Tapestry database into your existing generic / general purpose theme on any WordPress or Joomla powered website. "And well done on this great script"
"...you should get a Support Trophy every month!"